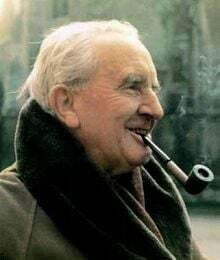 In addition to his literary work, Tolkien was a research associate for the Oxford English Dictionary and was Professor of English at Oxford University for nearly 35 years. He had an affinity with words and language, in particular Old and Middle English. As a linguist interested in linguistic aesthetics, Tolkien eventually created fourteen languages for Middle-Earth. His article, “What Makes the Names of Middle-earth So Fitting? Elements of Style in the Namecraft of J. R. R. Tolkien,” is freely available from IngentaConnect until September 2013. Click here to read the article. Names, the journal of the American Name Society, is one of the world’s leading journals in the study of onomastics. Since the first issue in 1952, this quarterly journal has published hundreds of articles, reviews, and notes, seeking to find out what really is in a name, and to investigate cultural insights, settlement history, and linguistic characteristics revealed in names.